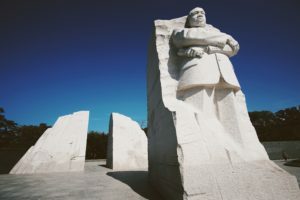 Each year on Martin Luther King, Jr. day, I am intentional about pondering the Civil Rights Movement. I wanted to invite each of you to do the same. This year I am struck by how recently these milestone decisions were made! This is the year the United States Supreme Court declared state laws establishing separate public schools for black and white students to be unconstitutional. Someone born in 1954 turns 65 this year. In 1870, the 15th amendment to the United States Constitution guaranteed the right to vote to non-white men and freed slaves, but the southern states suppressed the voting rights of black and poor white voters through Jim Crow laws. It wasn’t until 1965 that President Lyndon B. Johnson signed the Voting Rights Act into law, aimed at overcoming legal barriers at the state and local levels that prevented African from exercising their right to vote. Someone born in 1965 turns 54 this year. That was even more like…yesterday. Martin Luther King, Jr., was assassinated in his fight for justice. Others, however, are alive, like U.S. 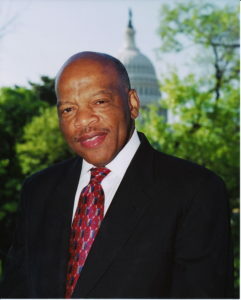 Congressman John Lewis. He was there at the Lincoln Memorial the day King gave his famous “I Have a Dream” speech. In Oprah’s Master Class podcast, Lewis tells about what it was like to be a black person in America in the first place, and then describes how things worsened once he decided to take a stand and speak up. The accounts make me shudder. No active participant in the civil rights movement knew what the end result of their efforts were going to be, but each person decided to die trying…figuratively and literally. 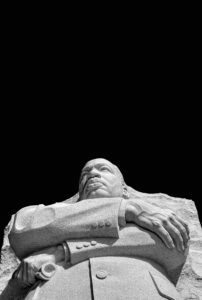 I usually listen to King’s fifteen minute I Have a Dream speech this week each year. You may do so HERE. The speech starts at about the two minute mark. Good trouble is simple. 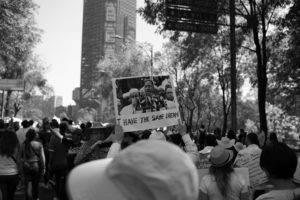 When you see something that is not right, not fair, not just, you have a moral obligation, you have a mission, you have a mandate to speak up, to speak out. You may get arrested and taken to jail . You may be beaten and left bloody and you could be murdered. You could die, but it’s part of the price you have to pay to not just to liberate yourself but help free and liberate others. I am reminded of Jesus today. He too was willing to get arrested, be beaten, and be put to death in order to free and liberate you and me. The price for freedom as always been high.